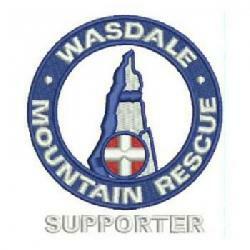 We were called by Police about 2 walkers reported lost somewhere on Scafell Pike. Unfortunately it was not possible to phone them back to get further details and after waiting some time the team leader initiated a full callout, with support from DFMRT to undertake a search. Fortunately, they managed to make their own way out to Eskdale before we’d got too far and we returned to base.